This link will take you straight to PayPal where you can specify the amount you want to give... Why not make a monthly donation? Regular donations help us to plan ahead and help more children. If you are willing to set up a standing order, please contact us for our bank details. £2.50 buys breakfast and lunch at school for a week. 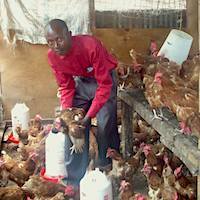 £5 buys 3 chickens, which contributes to making schools financially independent. 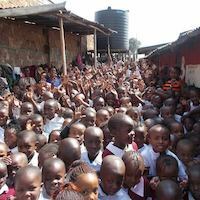 £10 pays the school fees of a child living in extreme poverty for 4 weeks. 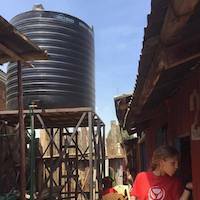 £50 buys a 50 litre water tank, used for handwashing water. Hand and face washing help prevent the spread of diseases. £300 pays for 1 term at university for a teacher working towards their teaching diploma. 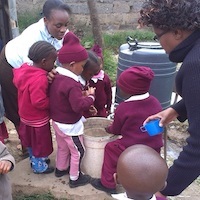 £400 pays for a 5000 litre water tank which gives partner schools cleaner, cheaper water. 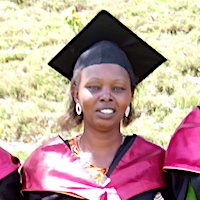 We have been able to secure some land on which to house partner schools. We also want our other schools to be on charity-owned land as this gives them a more secure future. Are you able to help us raise the funds? Please get in touch for more details. 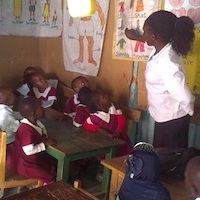 Regular donations help us to plan, and mean we are able to commit to helping more children get a better education. Please consider making a regular monthly donation. 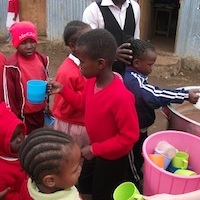 Porridge and Rice get the most from regular donations through standing orders (they attract the lowest charges!). Please get in touch if you would like our bank details in order to set up a regular donation. 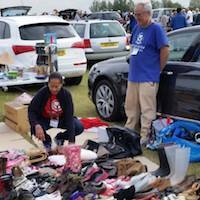 We sell unwanted but good quality items second-hand on eBay. If you have anything you are willing to let us sell to raise money, either get in touch for us to collect, or ask us for how to donate the sale proceeds directly from eBay. Porridge and Rice (Uji na Mchele) is a registered charity with the UK Charities Commission, Registration Number 1155841.